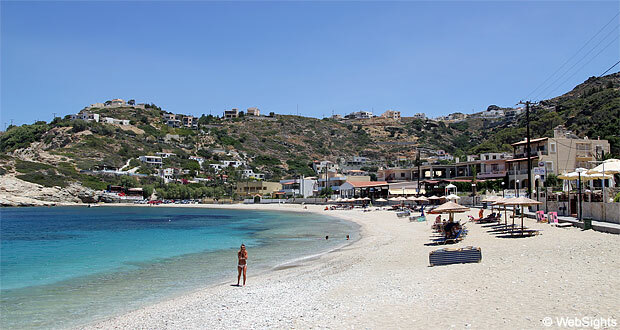 Ligaria is situated one kilometre south-east of the town Agia Pelagia, a famous holiday resort, and approx. 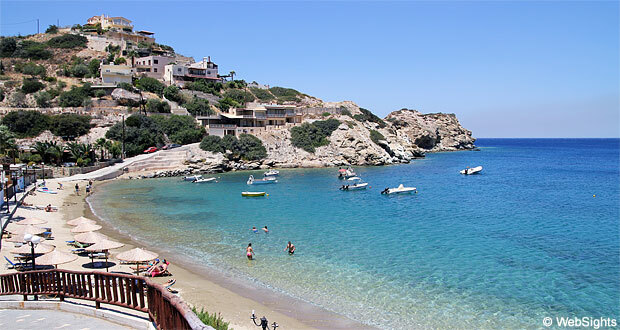 20 kilometres north-west of Heraklion, the capital of Crete. 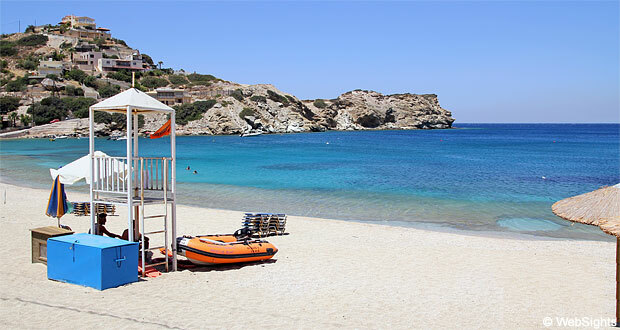 Ligaria beach is beautifully situated in an almost closed bay surrounded by mountains. The entire beach is covered with coarse sand, but the western part of the beach is best. Here, the clear water is often calmer and there is more sand in the water. The eastern part has more stones and flat rocks in the water. 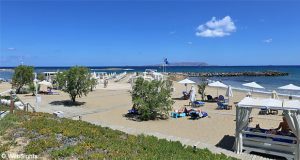 There are several sections with sun lounges and sunshades just as there are showers along the beach. The beach is normally supervised by a lifeguard. During weekends, many locals visit the beach and then it may be difficult to find a parking space. The beach is very well protected, particularly the western part. The sand is coarse and there are stones and flat rocks in the water. There is a diving centre at the beach and the conditions are good for a snorkelling trip. There are several restaurants behind the beach, where you will have an incredible view over the bay. It is also possible to buy ice cream and drinks to bring to the beach. 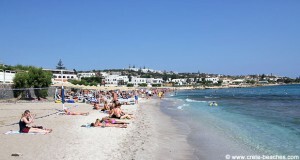 Ligaria is a very small town and the main part of it is close to the beach. There are a few small hotels and a few shops. The town’s restaurants are situated at the beach. 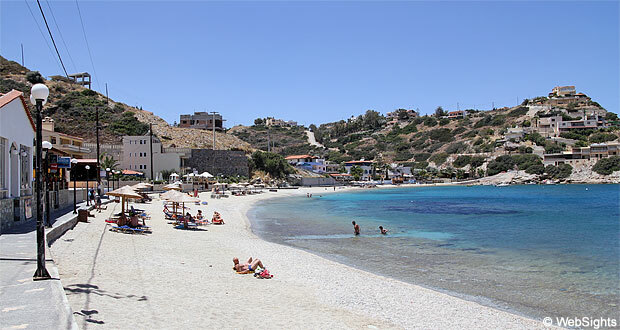 Only a few kilometres north-west of the town, you will find the somewhat bigger town, Agia Pelagia, where there is a wider selection of hotels and restaurants. In contrast, there is more peace and quiet in Ligaria.